About Spindlebrook Farm of Goshen, Ct. A full service retirement and layup facility specializing in the care of your aging equine. around the clock care for your aged or injured horse. Spindlebrook Farm is a retirement and layup facility located in the rural Northwest Corner of Ct. catering to the older equine and those needing a quiet place to recover from surgery or injury. 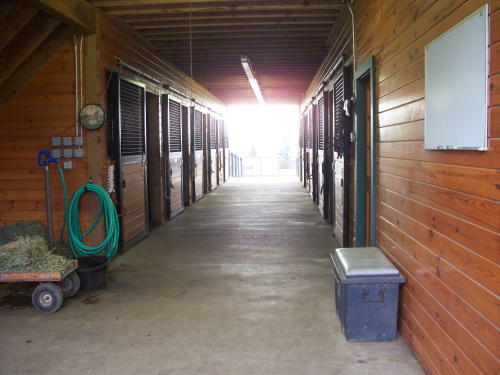 The barn, constructed in 2003 is equipped with 10x12 box stalls with automatic waterers. Plenty of light and ventilation insure a comfortable stay for your retired horse. 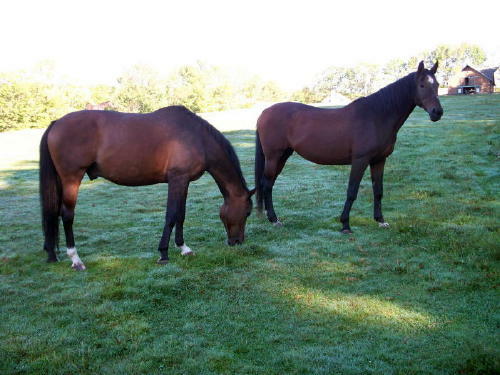 Owners Wendy and Russ Murdock have over 30 years experience in the equine field, from breeding and training, farm management, to driving and carriage construction and restoration. Owners live on-site and provide around the clock care, including feeding 3 times a day, blanketing and medicating if needed. If you are ready to make the decision to let your horse "be a horse",with the turn out and relaxed freedom that many show horses don't get out of neccesity during their careers, give us a call. Stop in and see us, and decide if our farm is the place for your horse to call home. Bar G's Doubletake ASPC (HOF) Stallion now standing for limited breeding.